By WES Industries based in Sarasota, FLORIDA (USA). 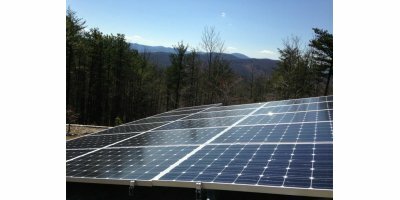 Solar PV Systems Benefits: Receive a 20-year income from the Feed-in Tariff Lower carbon emissions Reduce energy bills by using generated electricity Future proof against electricity price rises Cheap and reliable Solar PV is easy to install, reliable, affordable and designed to work for 25+ years. By Alternia Energy Management based in Birkenhead, UNITED KINGDOM. By Aurasol SA based in Testour, TUNISIA. By K H Marshall Ltd. based in Boston, UNITED KINGDOM. By Evergen Systems Ltd. based in UNITED KINGDOM. 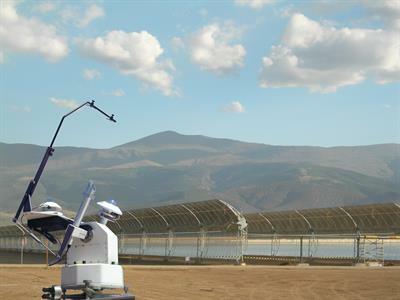 By Solartec S.A. based in Mexico, ARGENTINA. By Würth Elektronik GmbH & Co. KG based in Schwaebisch Hall, GERMANY. Solar power is unique. The only proven system of clean energy generation that can be used safely in towns and cities, in remote homes and rural villages, in vehicles, out and about, at home and at work. No moving parts, little or no maintenance, no fumes - it even works when the sun isn't visible! 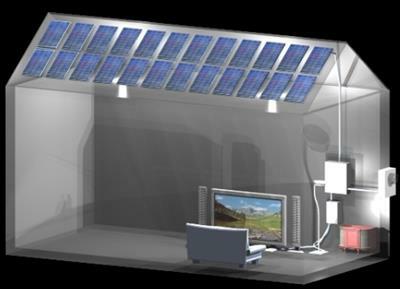 Solar modules transfer solar energy to electric energy, which is stored into the storage battery via the controller. The controller then distributes the electric energy to individual load. The system can supply electricity to DC load directly, and to AC load via the inverter. By Zhongli Talesun Solar Co., Ltd. based in Suzhou, CHINA. By DJK Renewables Limited based in UNITED KINGDOM. By International Environmental Technology Consulting (ITE-C) based in Darmstadt, GERMANY. By SSG Power Pvt Ldt based in INDIA. By MSS Mola Solar Systems Ltd. & Co. KG based in Duisburg, GERMANY. By Gading Kencana Sun Bhd based in Shah Alam, MALAYSIA.